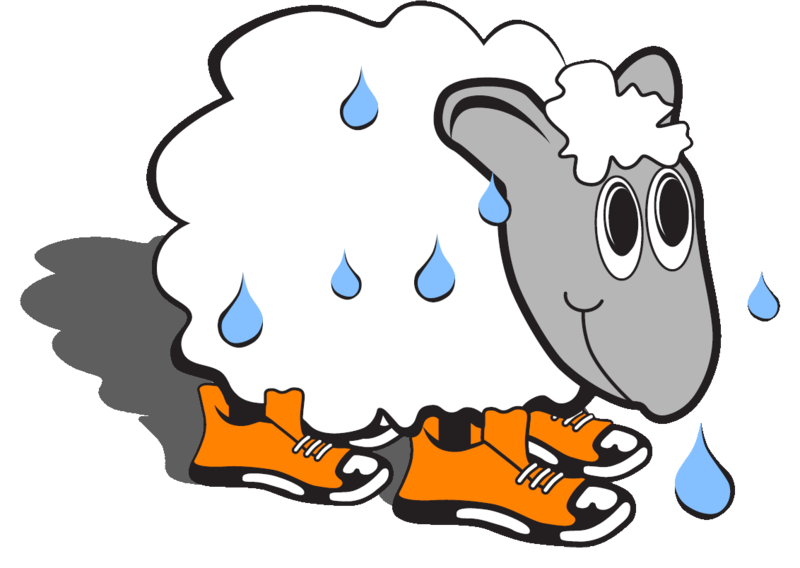 Over the past 2 weeks I found myself in several exciting email exchanges with Pastor Larry, a few of you tenacious trinitarians, and even some of our studious sweaty sheep… each inquiring about what scripture passages I’d be speaking on this morning. Why is that exciting you may ask? Because more often than not, the scripture reading component of a Sunday service doubles as an invitation to drift into a daydreaming session that, pending on the energy of the pastor’s transition, sets the stage for a full fledge nap during the sermon to follow! Not the case for this honor roll flock! Not only were all eyes open during the Isaiah reading, but several of you actually studied it in advance! Exciting indeed! However, knowing there were well-read and researched ears in the pews did induce flashbacks of sermon-writing for seminary professors with red pens! Lesson numero uno: Presbyterian and other reformed churches (Methodists, Lutherans, and such who broke from the Catholic church in the 16th century) follow a big biblical blueprint of sorts called a lectionary. Which, when followed, maps out a three-year journey through the Bible. And last but not least, it keeps pastors from preaching the same sermon every Sunday! It’s been said that most pastors rotate through 3 basic sermons using different words each time throughout the course of their ministerial career! …No wonder we put folks to sleep! Several weeks back I had quite possibly the lamest dream ever. Upon drifting off to sleep I found myself literally ‘drifting’ about in a boat on placid Caribbean waters with a fishing rod in hand. No incriminate weather on the horizon, no jaws music in the background, no Hollywood Baywatch lifeguards in skimpy bathing suits on the beach (no beach in sight actually),no Jesus walking on water or calming storms… (like I said, no storms to calm). … just me, a boat, and a fishing rod. Bobbing up and down under a blue sky. I reeled in the line, I cast the line out, reeled in, cast out… bob up; bob down, reel in; cast out, no bites, no… well… anything. Then all the sudden, get this, I woke up! Yep. That was it. The most boring dream in the history of slumbering! However, I did feel pretty darn rested that morning!! Strange, in the waking world there are few things I dislike more than fishing. Despite being an avid sailor basically born on the bay back in Annapolis, Maryland;I get seasick the second I cast a line from a boat or bored out of my mind the second cast one off a pier. Finally, despite my rough and tough appearance (that’d be cue for a mocking laugh) I am that guy no one wants on board, who not only releases all the fish, but apologizes obnoxiously to each for piercing their lip. We are ‘called’ out of our comfort zones and ‘sent’ to step out of ourselves, our agendas, and expectations. Those words, ‘call’ and ‘send’ can sound contradictory in modern vernacular; however, the two function like worm and hook in the Christian faith tradition. ‘I don’t wanna…’ Simon was tired! He was ready to sleep! But out into the sea he was sent, and important to note, with Jesus at his side. Another component in our calling, we are never alone regardless of who lonely we may feel. ‘Go away’ is kind of like the embarrassed remark one would make when waiting for the classic, ‘I told you so,’ that comes after being proven wrong. Wrong. Cast your net… and sure enough! Fish! But Jesus is above an ‘I told you so,’ because, and this is essential, our being sent is not a punishment but an empowerment! 9 Simon and all his companions were astonished at the catch of fish they had taken, 10 as were James and John, the sons of Zebedee, Simon’s partners. Then Jesus said to Simon, “Don’t be afraid; from now on you will fish for people.” 11 So they pulled their boats up on shore, left everything and followed him. I know what you’re thinking, so where does ‘sleeping’ fit in? Glad you asked! As earlier alluded, today’s passages are part of a larger lectionary grouping. Each day (not just Sunday) the lectionary provides 4 complementary passages, each expanding upon one another by adding new context, perspective, voice, and vocabulary. Most often they include an old testament reading, a psalm, a gospel and an epistle. 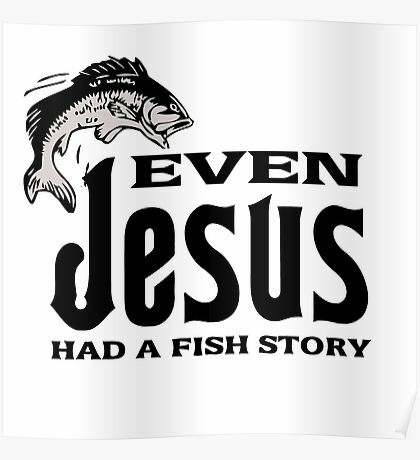 a simple reminder that our faith is about fishing, not daydreaming! And one particular word, KOYMAHO, finds its way into a variety of apostle-rooted passages. Simon was tired when called back out to the sea… Yearning to call it a day, craving Koymaho… but he pushed on! Koymaho, or ‘sleep’ is used throughout the New Testament meaning both ‘sleep’ in terms of slumber; but moreover, ‘sleeping’ in terms of what you tell your kiddo about their pet, ol’ Gus the goldfish, upon flushing it down the toilet. You can sleep and be a believer…They said Lennon was a dreamer, king ‘had a dream,’ Heck, disciples are dreamers and dreaming is a beautiful thing! You can slumber while sitting in a boat with a bobber in the bay and even read a bit of the Bible in the midst. That’s awesome! It’s about reeling in overflowing nets not lolligaging with lifeless lines! Today is an alarm clock, a call towards our greater purpose, and answering that call provides the heartbeat of our soul. “HOLY word you cant yell in a pulpit“ yelled our excited Captain as a rod came to life triggered a bell on the back of a charter boat some friends and commandeered off the coast of Honduras. Like Luke’s Gospel reiterates, the initial rush of hooking the fish is intense! Life-giving! An awesome WAKE UP call to the ‘Koymaho’ or sleeping sheep! 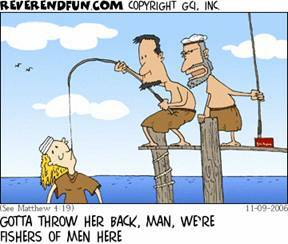 But hooking the fish doesn’t make you a fisherman or fisher of men. My buddy grabbed the rod and started reeling and wrestling the massive sailfish… and we grabbed my buddy! You are called, but not in isolation, we are a church, we are in this together! … think the happy bicycling Mormon brothers who come knocking two by two in freshly pressed shirts and smiles. And so we close out today with two points of wisdom evoked by our Honduran captain and friend Jonah the sailfish. No-one said our being ‘sent’ is safe! “Here I am Lord, Send me” yells Isaiah to the Heavens in elation…. Initially our sending is exciting and rightfully so… we all crave purpose and just the same, as horrible as it sounds, kinda want to show off. Post the picture of the big catch! Show the slide show of the mission trip we took or put the dollars donated to fire victims in our newsletter. Thats not an insult, its natural human inclination…. By opening our hearts to new neighbors, we risk breaking them, but as the old adage states, ‘it is through the cracks that the light shines through.’ Being a fisher of men means reeling fellow humans into relationship! A call to love… and love can mean heartbreak. Dangerous! A fish from the Homeless Garden Project needed a safe place to park while navigating the channel out of houselessness. An initiative that may cause some ripples in the placid waters of Melrose ave. If that wasn’t enough, last night we needed a spot where a school of fish, some very special friends from ‘Shared Adventures,’ could dance the night away in celebration of Valentines day! Both of these include real people who also have purpose and callings! Is it for our own nutrition or sport, a trophy sailfish on the wall and cool picture? May we continue to answer our call to open our doors to those in need and our hearts to love em as friends not fish when reeling in the nets. So maybe it’s not who we are fishing for, but who we are fishing with?